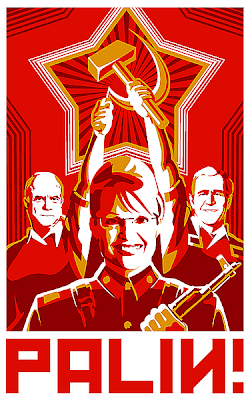 Support Comrade Palin and Neo-America! Someone is having a ball with illustrating the true nature of Sarah Palin and the "Party of the People." For Party, the State, and the Motherland!!! WikiNews, the populist-controlled free news source which is a division of online encyclopedia Wikipedia and is an alternative to the corporate-controlled mainstream media, has just covered the infamous "Snubgate" affair. It looks like it's not looking good for Bob Barr and his Republicanesque cretins, is it? 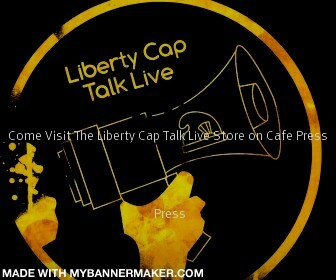 It seems that there is an enormous amount of pressure to remove LP presidential nominee Bob Barr and LP vice presidential nominee Wayne Allyn Root from the LP ticket, in the aftermath of Barr's stand-up of Ron Paul at his press conference. This pressure is being used to push LNC members to "un-endorse" Barr and Root and either replace them with alternatives or keep the ticket empty. Many proponents of this move are justifying it by saying that this is the only way the LP can be saved after the disastrous snub that Barr handed to Paul last Wednesday morning. On a grassroots note, an activist has launched an online petition that calls for the removal of Barr and Root from the Party's ticket. We, the supporters of freedom and liberty hereby petition you to immediately remove Bob Barr as the Libertarian Party nominee for President of the United States. Furthermore, we request that he not be replaced by the current vice presidential nominee Wayne Allen Root, but by another, less divisive candidate. This request is not made lightly, but with much seriousness. The actions, track record, and history of Bob Barr has divided libertarians and other liberty leaning individuals across the nation. WE THE UNDERSIGNED hereby affirm that we are registered voters in the several United States of America, and do petition Robert Barr to step down from his position as candidate of the Libertarian Party for President of the United States; we do petition the Libertarian Party to renounce its support of Robert Barr's candidacy for the office of President of the United States; or both. The fall-out from the infamous Barr "no-show" at Ron Paul's press conference Wednesday morning is gaining momentum. And it's getting down-right ugly. It serves Bob Barr, Russ Verney, Shane Cory, Mike Ferguson, LP Acting Executive Robert Kraus, LP spokesman (and recent college graduate) Andrew Davis, and all the other cronies working on behalf of and supporting the Bob Barr Campaign for President. The real question is why Bob, who is a major player in this election, want to be on stage with people like McKinney, who stands against everything the LP does, and Baldwin, who is barely on enough ballots to have a statistical chance of winning. Barr is not a minor party candidate. Barr is a major player this year. He is holding his own press conference right now. The good news -- at least for Ralph Nader -- is that Davis left him out, having no unkind words for him. Gee, the LP certainly picked a winner to be its spokesman, now didn't it? I just sat in stunned silence as Bob Barr blatantly lied to the national press corp (or the half dozen members that bothered to show up). He stated that he had not committed to attend this press conference. This is patently false. He was fully committed to attend until 30 minutes before when Russ Varney called Jesse Benton and said that Barr was out. This man has not one ounce of integrity in his body. Adam Kokesh stood up during the press conference, denounced Barr and withdrew his support. Several others in the room quickly followed. Great job Adam! I asked Barr Communications Director Shane Corey after the event why they pulled this stunt and was told to go f*** myself. I am one of the Presidential Elector Candidates for the Libertarian Party of Massachusetts (LPMA). As such I feel that it is necessary and appropriate that I express my feelings concerning the ongoing litigation concerning the right of the LPMA to substitute the names of the National Libertarian Party nominees for President and Vice President for those of George Phillies and Chris Bennet whose names currently appear on the LPMA petitions for the offices. I wish it to be known that as a Presidential Elector Candidate, while I support the RIGHT of the LPMA and it’s electors to make a substitution, I am no longer willing to do so in the case of Bob Barr and Wayne Allen Root. I will NOT pledge to vote for Barr / Root in the event that their ticket wins the vote in Mass. and I will NOT sign any agreement to authorize the substitution of their names on for those of Phillies / Bennet on the presidential ballot. This decision is due to actions taken by the Barr / Root campaign subsequent to this litigation being filed and, in my opinion, does not impact the basic facts of this case. While it is very true that there are considerable differences between Barr / Root and Phillies / Bennet as the Secretary of State alleges in the defense document, this is properly a matter for the members of the Libertarian Party to decide, not the Secretary. I firmly believe that the basic circumstances of the case, which are that the LPMA initiated its petition drive with Phillies / Bennet under the advice of the Secretary of States Office that *IF* the LPMA desired to make a substitution, then this would be permitted. It is manifestly unfair for the Secretary’s office to change the “rules of the game” in the middle of the petitioning process. As both a voter and taxpayer I would pray that, while I do not support substitution in THIS instance, the Court will see fit to rule that the electors have the right to substitute a candidate if they so choose, and direct the Secretary of State to develop fair and consistent rules for doing so. This would help to avoid the trouble and expense of future litigation on this topic. LPMA Presidential Elector, who will NOT vote for Barr! Speaking only as myself unless otherwise indicated! By committing to attend Congressman Paul's press conference only to declare minutes before hand that "it just isn't worth it." This is according to Don Rasmussen, Events Coordinator of the Campaign for Liberty. Bob Barr has been slamming Dr. Paul publicly since he won the formerly-libertarian party nomination, but this seems to have offended more Ron Paul supporters than anything he has done so far. For those who don't know, Barr spent much of his life jailing people on behalf of the federal government for possessing substances that the state disapproves of, before recently "seeing the light". Even since his supposed revelation, he has praised the troop surge, argued for intervention in Iran and South America, advocated a national sales tax, and voted for the PATRIOT Act twice. This just scratches the surface, of course. With that said, it's probably for the best that he didn't show up today. Before I move forward with an important report for today, I would like to recognize and remember the 2,819 men and women who lost their lives seven years ago. As a result of the attacks of September 11th, Americans came together, setting aside differences in order mourn our shared losses and assist our neighbors in need. In times of crisis, strength in leadership requires boldness of character, clear direction and firm resolve. As we witnessed after the attacks of September 11th, President George W. Bush showed incredible leadership as he stood atop a fire truck amidst the rubble of the twin towers to rally America. While the quality of leadership is rare enough, principled leaders are few and far between. Those who do appear to posses the traits necessary to lead, for reasons only known to themselves, frequently choose not to stand on principle. Yesterday, our vice presidential candidate, Wayne Allyn Root, offered to step aside to allow Congressman Ron Paul an opportunity to serve on the presidential ticket of the Libertarian Party and move the agenda of Liberty forward. On the surface, a simple offer was extended. In fact it was principled leadership at its finest. Wayne Allyn Root showed his deep commitment to the principles of our cause. Without hesitation or regard to the effort, time and personal funds he has committed to the issues of freedom, smaller government, less taxes and the Libertarian ticket, Wayne offered to step aside to allow another leader to step up. I could not be more proud of his actions and selflessness. As America is hurling towards crisis on many fronts, we need principled leaders like Bob Barr and Wayne Allyn Root. We have no time to waste on anything other than spreading the message of smaller government, less taxes, and more personal freedom issues across this nation. Today our campaign is being criticized by a few people for my decision to not attend a press conference sponsored by Ron Paul’s political action committee. I thought I would take a minute to explain to you why I made that decision. It became evident to me after meeting with Ron Paul’s staff that this media event was not about promoting the liberty agenda; it was about promoting a man. That’s not what we’re in this for. After rumors were spread in advance of the news conference that Bob Barr was dropping from the race - just to hype the event - I became even more hesitant to attend. Those tactics were unacceptable and when asked about it, Ron Paul’s staff simply smiled and said it would attract the press. When I was provided a copy of Ron Paul’s prepared remarks just hours before the start of the planned news conference it became clear to me that the message Ron Paul intended to deliver was essentially to scatter the votes for the liberty agenda to the four winds. His remarks not only encouraged anyone listening to support any one of four candidates, he also applauded ‘non-voters’. To me encouraging people not to vote is not principled leadership for the Liberty agenda. I made the decision that attending that news conference was not consistent with Bob Barr’s principled leadership for the Liberty agenda. Once I informed Ron Paul’s staff of my decision I was rudely informed that my decision would have permanent ramifications, I was personally threatened and Bob Barr was politically threatened. That’s a far cry from principled leadership. One thing that did occur as a result of yesterday’s events is a clear separation of certain factions. Up until now, we have been dealing with two groups, those who want to advance the issues of liberty and those who have been drawn into a cult of personality. There are those who support a specific politician and then there are those who support the liberty agenda regardless of standard-bearer. Bob Barr, Wayne Allyn Root and the Libertarian Party stand for the issues of personal freedom and responsible government. As they have proven, both Bob and Wayne are willing to lead or follow for the advancement of our issues. Now is their time to lead. As we move into the final 50 days of the campaign we are in place to make a strong impact on the future of our country. At the end of the day, the number of votes cast in support of the Liberty agenda in the General Election will influence the national political agenda of the next four years. If we do our jobs, work hard and give us much as possible until Election Day, our voices will be heard and our agenda of smaller government, lower taxes, more personal freedom and government accountability will be on the table for years to come. I appreciate your commitment and dedication. In a statement today, the Barr campaign manages to attack Ron Paul yet again (while somehow finding an excuse to praise President Bush for his "leadership" on 9/11). They say that Ron Paul's meeting yesterday was all about promoting himself, and yet it was also supposedly about "scatter[ing] the votes for the liberty agenda to the four winds." Bah. Barr would be very lucky to get 1/4 of Paul's supporters to vote for him. The Barr campaign release also attacks non-voters. This is really amazing. The same campaign that was willing to praise Jesse Helms, Al Gore and now George Bush, a campaign that has flip-flopped on global warming, gay marriage, the drug war and other issues, is now attacking the most popular libertarian activist movement in modern history, and attacking Ron Paul the person for caring more about himself than spreading the message of freedom – perhaps the most bizarre accusation one could make. When Barr first got the nomination, I predicted he would not break 700,000 votes, despite hysterically optimistic estimates of millions of votes. Now, I would be somewhat surprised if he got more votes than Michael Badnarik. Bob Barr's campaign manager, Russ Verney, sure is funny: "Today our campaign is being criticized by a few people [my emphasis] for my decision to not attend a press conference sponsored by Ron Paul's political action committee...." A few people, probably just those who are part of what he calls a "cult of personality" around Ron Paul. How can this be topped for sheer stupidity? As for attending vs. not attending, hasn't Barr (who was recently booted from the ballot in West Virginia) encountered some of the same frustrations all third parties do, and like a decent man wouldn't he want to join them in standing up against that kind of treatment? What am I missing? I attended Ron Paul's press conference yesterday expecting Bob Barr to be there. It was going to be as close to an endorsement as Barr could get from Paul. I almost came with a sign that said "Veterans For Barr." Boy, am I glad I didn't. Ron Paul had decided to throw some of his now considerable weight behind the electoral issues that marginalize third party candidates and got all four major third party candidates to endorse a four-point platform that included libertarian positions on foreign policy, privacy, the national debt, and the federal reserve. When I think of the freedom movement, I think of it as broadly as possible. Everyone who thinks the government is too big, too intrusive, too burdensome, and not representing our will abroad with the current interventionist foreign policy is part of the freedom movement. We are a diverse group, and we do not need to be uniform in all of our beliefs to be unified against a government that is out of control. What Ron Paul did was put that down into four points of agreement and got a team united behind them in a very powerful way. It may not have been as dramatic as some people were hoping, but it was beautiful. Our founders would have recognized the importance of what Paul was doing, or as Benjamin Franklin said, "We must all hang together or most assuredly we will all hang separately." Bob Barr just had to ruin it for everyone for his own selfish reasons. He had agreed to the platform, and agreed to be at the event, only to withdraw thirty minutes before it happened. There was an empty seat for him on the stage. Paul was gracious and kind, saying things like, "if he can make it," but behind the scenes he was angry and hurt. I went to Barr's own press conference right afterwards still giving him the benefit of the doubt. I had hoped that he had a good reason for not being there that I was not aware of. Maybe he would say he had a personal issue. But instead, I sat there and listened to him prattle on about Ross Perot and getting votes and forcing policy issues and "principled leadership." Then he asked Ron Paul to be his VP. I was fuming. I had reservations about Barr before publicly endorsing him, but I even offered my support in a letter that was delivered through the LP staff which was ignored by the campaign. I thought his transformation was genuine and that it was a powerful sign for the LP to elect a newcomer, as if to say "we will embrace anyone who comes around to our principles." Unfortunately, we picked Barr instead. He has since shown himself to not fully comprehend or endorse the philosophy, having praised the troop surge, argued for intervention in Iran and South America, and advocated a national sales tax. He has also run as far from the LP as possible, and there is still no link to the LP on his website. His lack of willingness to work with other people on key issues (issues any true libertarian would be passionate about) is very revealing. "What Ron Paul was doing today was taking leadership on some issues that I know you agree with and your lack of willingness to be a part of a team and work with others on these issues is telling. You have spoken a lot just now about leadership and unity, but it is clear you care about neither, except when you are the leader, and people are united behind you. Good leadership includes good followership and today, you showed your lack of both, and a complete lack of integrity. I am retracting my endorsement." The freedom movement is bigger than any one party, and any one leader. The revolution of which I speak is a revolution of values, of political culture, and of the understanding of the responsibility of being a good citizen. When that happens, it will be reflected in our political system one way or another, be it through the Republicans, Democrats, Green Party, Constitution Party, or an independent candidate. As a moderate libertarian, I still believe that the Libertarian Party will be the mechanism by which our movement will come to fruition and I will remain an enthusiastic lifetime member. More than the party or any one candidate, I am committed to this movement, my country, and my principles. I have signed a petition to have Bob Barr removed from the Libertarian Party ticket. Please click here and sign this petition to join me in this effort. Please forward this to everyone you know who cares about the future of this movement and the Libertarian Party. Russ Verney is full of crap. Click here to read his response to the events of the last day in which he praises Bush's leadership, exploits 9/11, and claims that Ron Paul's press conference was "about promoting a man." Maybe their campaign strategy goes something like, "Screw liberty, screw the issues, screw the principles of the party of principle. If we can just get enough votes this year, we can get Bob back on the ticket in four!" He was right about Wayne Allen Root though: it was gracious of him to step off the ticket for Ron Paul, but of course if Barr gave a crap about the movement, he would have offered Ron Paul the top spot on the ticket. Perhaps it is the acrimonious environment of a two-party system, or simply a "strength in numbers" struggle that makes strange bedfellows among third-party candidates in today's politics. Whatever the cause, third-party candidates often reach out to others for support and assistance in the mutual struggle against the tyranny of the duopoly. Be it in pooling resources, or simply an extra hand in meeting ballot access requirements: Third-parties are a band of political outcasts struggling for a right to compete for the votes of American people, the same as Republicans and Democrats. This semblance of unity, of overcoming political differences in the pursuit of greater competition in elections, is certainly something to appreciate and encourage. Third-parties alike face the monstrosities of corrupt ballot access requirements in their attempt to place candidates on the ballot, and it is only natural for de facto alliances to spring up in this pursuit. In many cases, these political competitors can even find common ground in their political positions, such was the case with the recent Libertarian, Green, Constitution, and independent party endorsements of a quartet of issues compiled by Republican Congressman Ron Paul. Such a consensus is rare in partisan politics, and the willingness of these candidates to come together represents a refreshing change of pace from the refusal of Republican and Democrats to address the issues that Americans face. Though a positive step in politics, there is a hidden danger in attributing too much worth to this showing of solidarity among political parties that differ so greatly. An oppressive two-party system presents a clear need for reform and change, but a mutual agreement on issues between political parties is not necessarily indicative of an overall similarity or compromise between parties. There are very real, and very diametric differences between the Libertarian Party and all of its other political competitors. Agree as they may on issues like civil liberties, war and economic reform, the philosophy of each political party is distinct and unbending. While the Libertarian Party certainly claims no absolute monarchy on all the avenues to freedom, we believe our platform and positions are most consistent with that of the true meaning of liberty in the United States. This is the philosophy of liberty. To dismiss this philosophy in the pursuit of consensus is a dangerous trend that third parties must avoid at all costs. To do so, for whatever reason, is to abandon the very core identity of the political party. Just as the soul is the essence of a person, the political philosophy of a political party is the foundation on which its platform is built. While the platforms of different political parties may overlap on some issues, the quintessential philosophy of each is wholly unique. The maintenance of this philosophy is more important than any political coalition or victory. For without our philosophy, any victory will be hollow, and any coalition empty of meaning. For every question, there is an answer, and individuals may arrive at this conclusion through many different means; some right and some wrong. Libertarians may agree with Greens on the need for a foreign policy based on nonaggression, but it is for very different reasons. And Libertarians may agree with independents on the need for ending welfare reform, but again, for very different reasons. The appeal of banding together with other third-parties may seem appealing on the surface, but such a compromise of the very basic values of the party would be no better than Republicans or Democrats and the compromises they make. Only in the Libertarian Party is the principle of individual sovereignty, limited government and lower taxation the core philosophy of our beliefs. While we may share some issues with other political parties, we do not share our philosophy. It is ours, and ours alone. Working with other parties on electoral reform and eliminating anti-democratic ballot access laws is advantageous for all involved; however, at the end of the day, we are still competitors vying for individual votes of Americans. A vote cast for any other political party than the Libertarian Party is a vote the Libertarian Party will not receive, no matter how well intentioned. The power of a third-party does not lie in coalition building—at least for the true purpose of a political party. By the very nature of politics, political parties are competitors, regardless of ideological congruity or cooperation. Greens, Constitutionalists, Independents, Republicans and Democrats are all competing for the same votes as Libertarians. Coalitions may be beneficial for specific goals, such as electoral reform, or may make for good publicity; however, in the end, the restoration of the Constitution in the United States will come from a single third-party's rise in prominence that keeps the true philosophy of liberty at heart. The liberty movement needs a single leader, not a nebulous consortium of strange bedfellows. Trading the tyranny of a major party for the tyranny of a minor party is no desirable end. Only in a libertarian society will people be truly free, and only through the Libertarian Party with its libertarian principles will this society exist. No other political party has the platform or philosophy that would bring it about. To assume that somehow a coalition of third parties will effect this change is to somehow assume all other third parties will abandon their own philosophies in accepting ours. If we are not willing, then why do we assume they will? Agreeing on a handful of issues is far from agreeing on the same basic philosophy of freedom in the United States, and it is only the philosophy of freedom that is truly important. It defines us, and will serve as a template for freedom as it has served in framing the Constitution. There is only one party dedicated to the principles of the Enlightenment, and those principles that founded the American society: the Libertarian Party. Only through our candidates will true freedom be restored. Until the philosophies of the other parties change, we must never accept any substitute for the freedom for which the Libertarian Party calls. Working with other political parties on electoral reform is a great idea, but there can be no substitute or compromise in our pursuit of political reform. The Libertarian Party can never follow the beat of any drum other than its own. As if the situation couldn't get any worse, LP co-founder David Nolan wrote an op-ed on the NolanChart.com website, observing that the Barr's presidential campaign is over as of yesterday. He urged LP activists not to waste any time to remit money to the campaign, but urged them to support North Carolina's Michael Unger and New Hampshire's Morey Straus. As of yesterday afternoon, Bob Barr's Presidential campaign is effectively over. There were signs of serious trouble even before yesterday, but his "no-show" at Ron Paul's Campaign for Liberty news conference -- followed by an insulting suggestion that Ron should join Barr on the LP ticket in the VP slot -- demonstrated just how out-of-touch the Barr campaign is, and how poor Barr's vote total is likely to be. In earlier articles here on nolanchart.com I tried to give Barr every benefit of the doubt. I observed that in theory he should be one of the Libertarian Party's stronger Presidential candidates. I opined that while his pronouncements on the campaign trail were hardly hard-core libertarian, they were mostly to-the-point and well stated. I did not support him for the nomination, but I was more or less comfortable supporting him once he became the LP nominee. Nolan, however, is planning to vote for Bob Barr and urges Libertarians to do the same. By all means, vote for Bob Barr in November. I plan to, and I urge every Libertarian to do likewise. Whatever vote Barr receives will be seen by most people as "the Libertarian vote" and we want that to be as high as possible. And if you want to campaign for Barr locally, then do so. Print up flyers, put up homemade campaign signs, etc. But do not, under any circumstances, send any money to the Barr '08 campaign. Most of the money will be wasted, and the rest will be spent muddying the waters about what genuine libertarianism is all about. Because of what Barr did the other day, this has signaled the death of the Bob Barr for President Campaign. The Barr train hasn't been pushed over the edge -- it's gone off the tracks and flipped over the ground. It's now in ruins. No amount of PR spin from the campaign, Barr, and the LP will repair all and any of this. The sensible course of action for Barr is to drop out of the race and apologize to Paul and his supporters while he's at it. The LP needs to forgo running a presidential slate this year and live with the political consequences once and for all. This is the price Barr and the party must pay, as they brought this mess onto themselves. Now it's their responsibility to clean it up themselves. I agree with everything that Nolan said, except for his urging the LP faithful to vote for Barr. Why do you want to vote for a man who is NOT a Libertarian by any means? What do you hope to gain from this? This will certainly do nothing to help the Party and voter outreach. All of that has been destroyed by the Barr campaign. Any glimmer of hope that was once there is now gone. It's not coming back. Barr is an unprincipled, anti-freedom opportunist who does not care about the message of liberty. He has never seen and does not and will not see the light. That is a fantasy. Let go of it. You are only deluding yourselves if you keep believing it. If the LP and its supporters had spines, they would drop Barr like a hot potato and forget about the LP presidential race, because there's no reeling back from this mess. Not for the longest time.